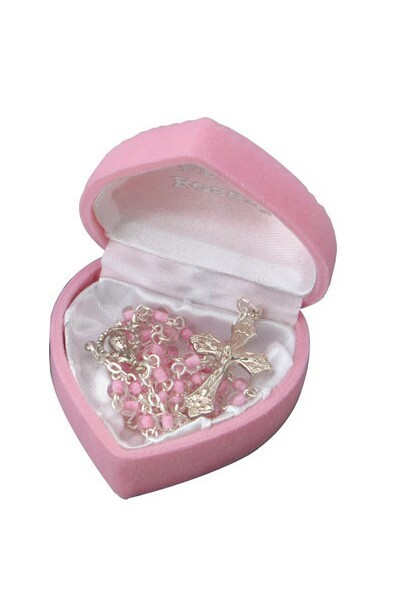 Glass Rosary Beads in either baby pink or baby blue with silver colour metal links. Comes in a velvet heart Box to match the colour chosen. Bead diameter size is 4mm. Length including crucifix is 36cm, crucifix is 3cm long and silver in colour. Length 25cm to junction which shows ( Mary ) and silver in colour. 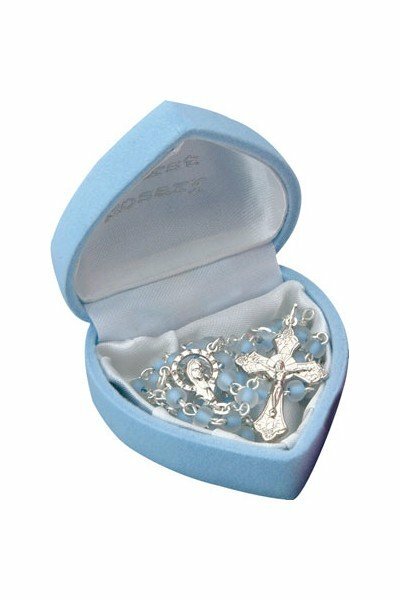 This rosary makes a wonderful christening gift.